Blending your grandmother’s pickling know-how with today’s Internet resources, Andrea Chesman shows you how easy it is to fill your pantry with tasty homemade sauerkraut, Salt-Cured Dilly Beans, and Rosemary Onion Confit. 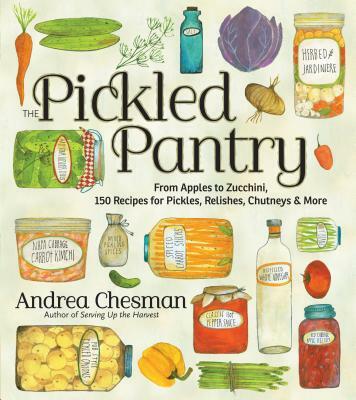 Explaining classic techniques in simple language, guiding you to helpful websites, and making you laugh with humorous stories, Chesman provides inspiration and encouragement for both first-time picklers and dedicated home canners. With tips on pickling everything from apples to zucchini, you’ll enjoy exploring the stunning variety of flavors that can fill a Mason jar.